(update) with double the number of episodes: "An echo of the past, an exciting past, a romantic past, the era of horse and carriage, gas lit streets, and free-for-all football games. 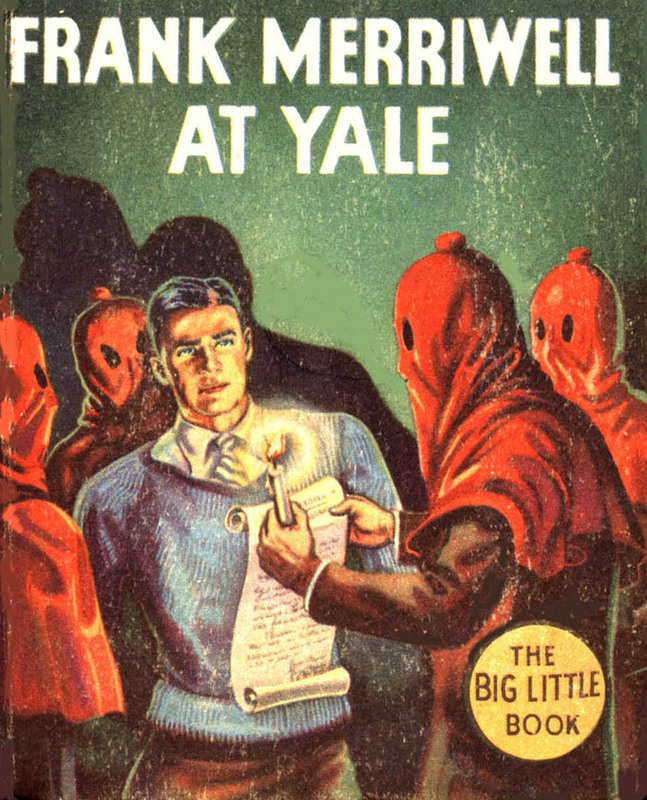 The era of one of the most beloved heroes of American fiction, Frank Meriwell." "There it is, an echo of the past - an exciting past, a romantic past - the era of the horse and carriage, gas-lit streets and free-for-all football games: the era of one of the most beloved characters in American fiction, Frank Merriwell." The precocious young scamp is a well loved stock character in sit-coms. The bib-overall wearing, tousle-headed lads are well represented by My Son Jeep, Leroy from The Great Gildersleeve, Henry Aldrich, culminating with TV's Bart Simpson. As much fun as these characters are, it is good to know that their exact opposite not only exists, but make great listening! Examples of these fine young men, will call them un-scamps, may be easy to mock, but there adventures are always thrilling, and the only way they get through them is with grit, determination, and the moral strength of well-raised young American manhood. Examples include Terry from Terry and the Pirates, Jerry Dugan of Jerry of the Circus and Jerry Of Fair Oaks, and Jack Armstrong, All American Boy. Another addition to the list is Frank Meriwell. Frank Meriwell was created by dime-novelist Gilbert Patten, writing under the pseudonym Burt Standish. Patten would write that his character "had little in common with his creator or his readers... The name was symbolic of the chief characteristics I desired my character to have. Frank for frankness, merry for a happy disposition, and well for health and abounding vitality." 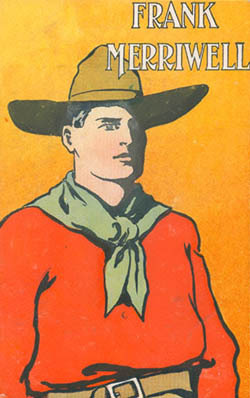 Meriwell first appeared in magazine stories in 1896, and in a comic strip in 1928. He would become the model for many later athletic heroes. Meriwell's classmates said of him "He never drinks. That's how he keeps himself in such fine condition. He won't smoke, either, and he takes his exercise regularly. He is really a remarkable freshie." Frank Meriwell first appeared on the radio in an serial from March through June, 1934. 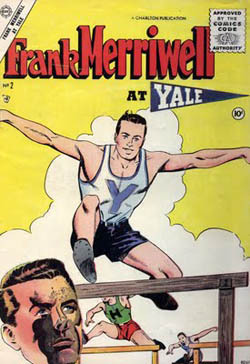 Twelve years later the network revived the series, with Frank and his friends Bart Hodge and Inza Burrage attending school at Yale. The series is a "case of the week" drama as opposed to a serial, peppered with turn of the century New England references. "An echo of the past, an exciting past, a romantic past, the era of horse and carriage, gas lit streets, and free-for-all football games. The era of one of the most beloved heroes of American fiction, Frank Meriwell." For more all-American fun, see also Jack Armstrong, All American Boy. Be the first to comment on "Frank Merriwell"